This report proved correct on the 22nd November with Mr Hammond raising the price at which residential property can be bought without incurring Stamp Duty Land Tax. And it is the intention of the Chancellor that this will be in place for the next five years. So long as the property being bought is for £300,000 or less, first time buyers will now be able to buy their home Stamp Duty Land Tax free. This means a maximum of £5,000 “back into your pocket” and the government estimates that 80% of first time buyers will incur no Stamp Duty Land Tax at all. It is worth noting that the existing rate of 5% Stamp Duty Land Tax will apply to the cost between £300,000 and £500,000. Unfortunately, those buying properties over £500,000 for the first time will incur Stamp Duty Land Tax on the whole amount at the usual sliding scale for main residential dwellings and therefore not benefit from this Stamp Duty Land Tax change. See below. In addition, the additional Stamp Duty Land tax surcharge will still apply to those individuals who are purchasing second homes. Another way the Treasury is hoping to help young people trying to get onto the housing market is through investing a further £10 billion into the Help to Buy Equity Loan scheme whereby you put in 5% deposit, the Government lend you a certain percentage (up to 20% or 40% if you are buying in London) and then you make up the additional sum through mortgage funding. Buss Murton’s Property Team are experienced in both Stamp Duty Land Tax law and Help to Buy matters and would be pleased to speak to you about your purchase. 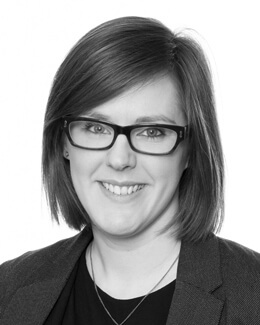 Katherine joined the firm in 2015 as a Trainee Solicitor in the Property team after spending two and a half years as a Paralegal in a London firm. While working in London she also studied part-time for her LPC with the University of Law. Katherine qualified as a Solicitor in 2017 and is working in the Company Commercial and Commercial Property teams at Buss Murton. She has experience in corporate transactions such as business and share sales and corporate financing as well as commercial property work including leases (landlord and tenant), sale and purchases, overage and option agreements.